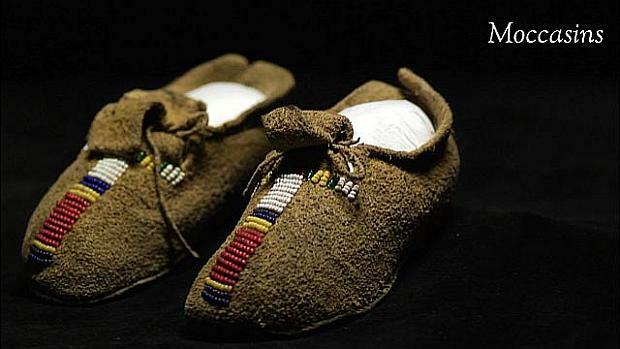 These moccasins likely belonged to a little boy and would have been his first pair before he would start walking. They were constructed of deer or antelope hide. The beads make it look prettier on a baby and were often times made by an aunt or another relation to the child. The round circle bead work on moccasins represents that there is no end to life and the red paint was to protect the child from evil and to keep the child safe.